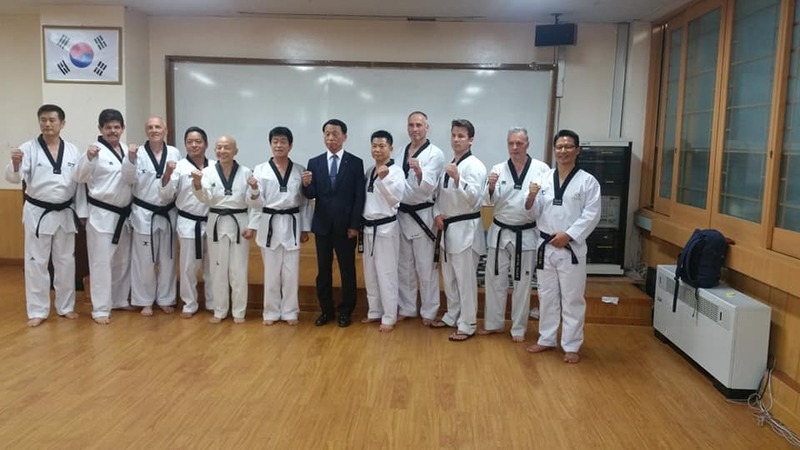 Grand Master Christopher Davies has just returned from 10 days in Korea where he has been training at the Chungdokwan Summer Seminar in Gangwon-do Goseong-gun on the east coast near the North South border and testing at the Kukkiwon in Seoul. 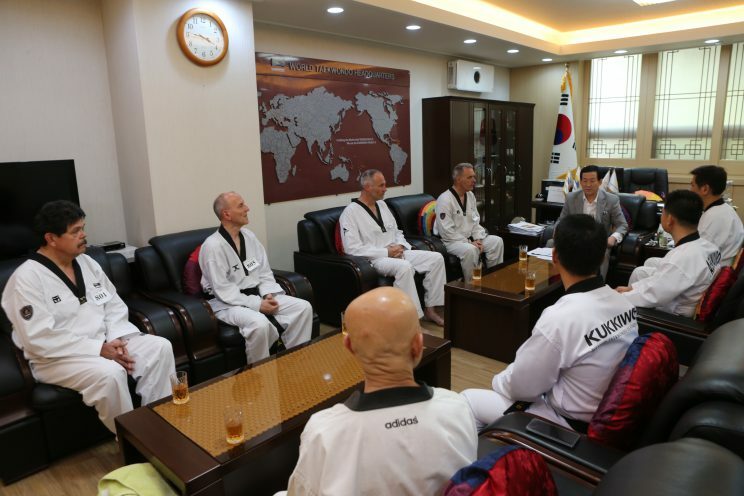 Grand Master Davies holds a Chungdokwan 9th Dan. The final training session with participants from UK, USA, France, Greece, Switzerland and Congo was held at Kukkiwon (World Taekwondo HQ) in Seoul. 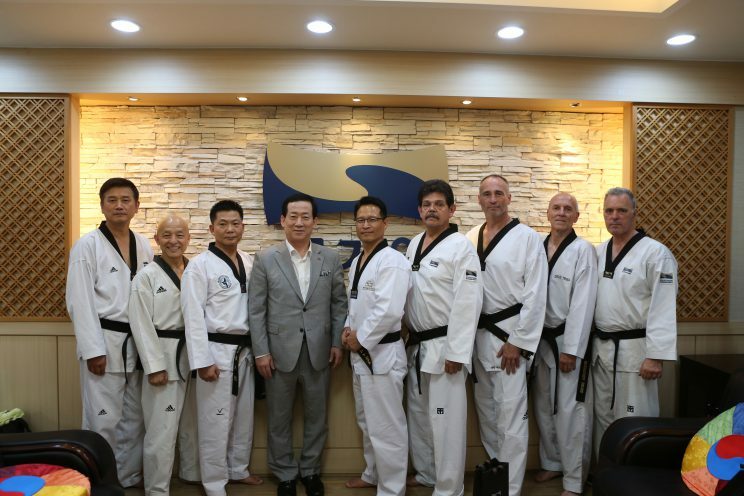 Temperatures throughout the training were incredibly humid and reached 38 degrees. Following on from the Chungdokwan course Grand Master Davies completed a 5 hour training session under Grand Master Byoung Ho Lee which was scrutinised throughout by the senior examiner and then tested for his Kukkiwon 8th Dan. There were 10 candidates testing, 2 for 9th Dan, 6 for 8th Dan, 1 for 6th Dan and 1 for 4th Dan. 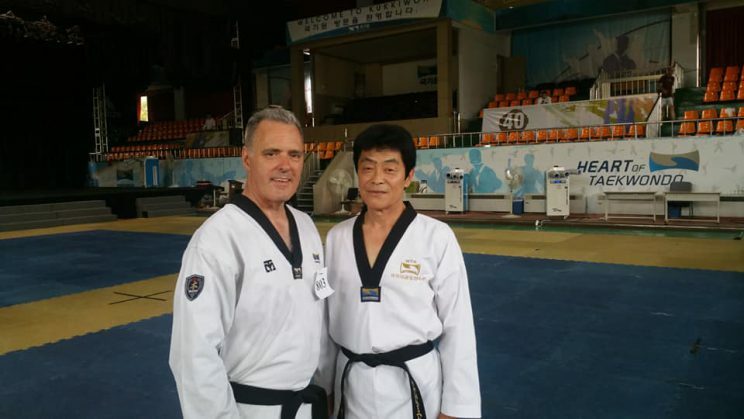 (Below) Grand Master Davies at the Kukkiwon with grading course instructor, Grand Master Byoung Ho Lee after the test. 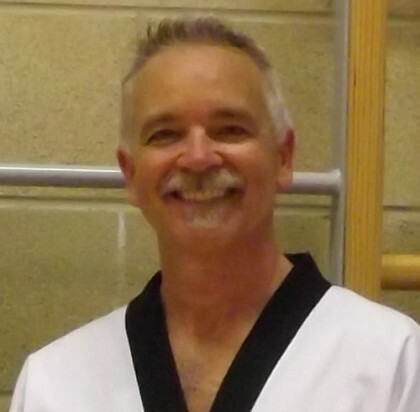 It was so much fun, your teaching methods are awesome. I cant wait to come back.